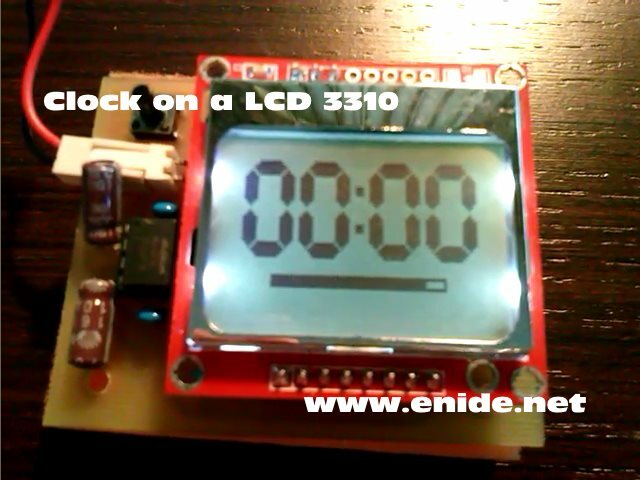 Clock on a LCD 3310 | Enide! 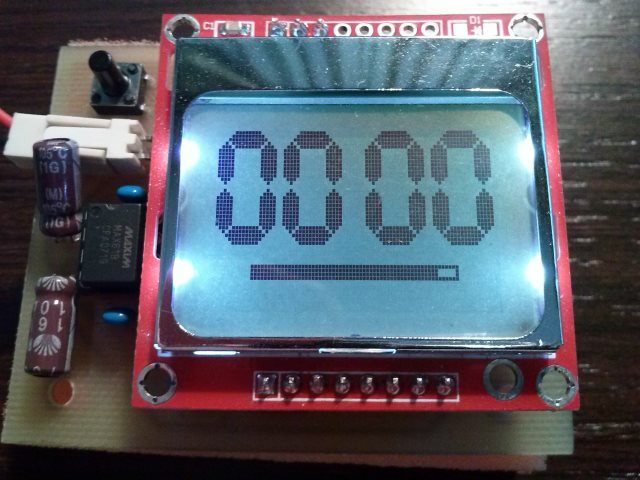 For some time I wanted to build a clock using a Nokia 3310 LCD but never had the time to create the digital font big enough to be readable at a distance and nice looking. After finding the Arduino code published by Pawel Kadluczka, on his blog Code, the Universe and everything, I converted it to use on a PIC 16F88. All code is in a single file to make it easy to understand. The circuit runs from 5V and has its own 3.3V regulator. You can remove the 3.3V regulator and power it directly from 3.3V but the back light will be dimmer. 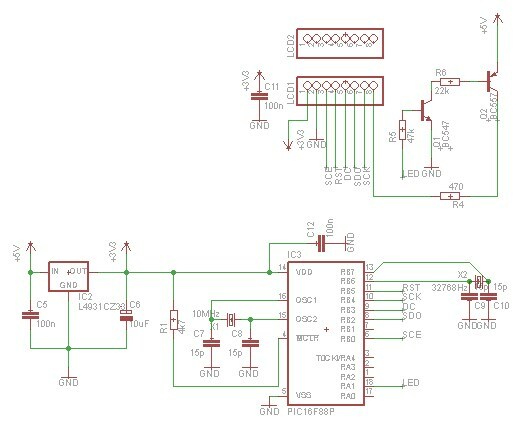 The schematic shows a PIC 16F88 with 2 crystals X1 and X2 but only X2 is really required because this PIC has an internal oscillator that you can use instead of X1. You can safely remove X1, C7 and C8 as long as you change the FUSES line in the code to setup the internal RC oscillator. None, although the prototype was tested in a PCB from another project. Mount it on a breadboard. LCDRESET = 0;	// !!!!RESET!!!! // minimum reset time is 100ns! spiTxChar( 0x21 ); // LCD Extended Commands. spiTxChar( 0x20 ); // LCD Standard Commands. 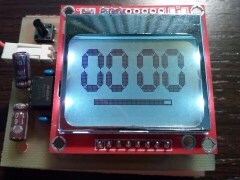 The prototype in the pictures below runs on the same PCB of Baby Night Light & LCD project because it was faster to test the code using that PCB instead of using a breadboard. First picture of the clock running after power on. The bar under the digits represents the seconds and fills until they reach 59.